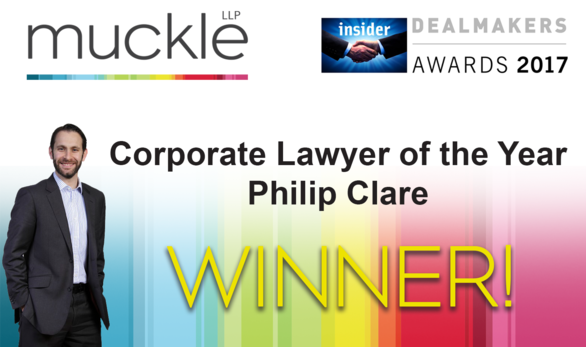 Congratulations to Partner Philip Clare. He picked up Corporate Lawyer of the Year at the prestigious Insider North East Dealmakers Awards. At the ceremony, held at the Hilton Newcastle Gateshead, we also scooped Deal of the Year (under £10m), for advising Smulders Projects on its acquisition of the former OGN Group site in Wallsend. Philip, a former Young Dealmaker of the Year, has advised on some of the region’s biggest deals, including the sale of O’Brien Waste Recycling Solutions to Biffa plc. That transaction was also shortlisted for an award, along with two other multi-million pound deals Philip has worked on in the last 12 months. Partner Mike Spetch and Associate Adam Rayner were also celebrating, after helping Smulders acquire the old OGN site which led to hundreds of jobs being restored to the area. The regional significance, along with the complexity of the legal work involved, helped us win Deal of the Year (under £10m). This was a real team effort, with specialist advice from several other departments, including construction, commercial, employment, real estate, banking and restructuring. Well done to everyone involved. Winners are decided following a confidential nomination process by members of the local business community. 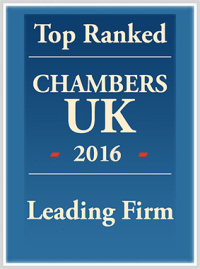 And we have a strong track record, having won Corporate Law Firm of the Year more times than any other practice in the region. Seven times in 11 years to be precise. For more information on how we can help your business, please call 0191 211 7777 or email us.